What does Randal Jon have that everyone wants? The Answer . . . He has the Cutting edge that gets results! "Welcome and thank you for stopping by the Randal Jon Salon website! You may not know me yet, but I know your hair already. Possessing the innovative haircutting techniques, complementary styles for your face shape, and formulating provacative hair colors in combination with your skin tone, is what I do best. I believe that my Clients don't care how much I know, until they know how much I care, and I want you to know, that I am geninely looking forward to you looking your very best, and exceeding your expectations. "If you only knew how great your gonna look, you'd already be sitting in my chair, so visualize it, & make appointment. Allow me to show you, exactly what I mean about having great style." Will your hair stand close inspection? Is it soft, silky, & fresh looking? It's the life & luster that makes or spoils your whole appearance. 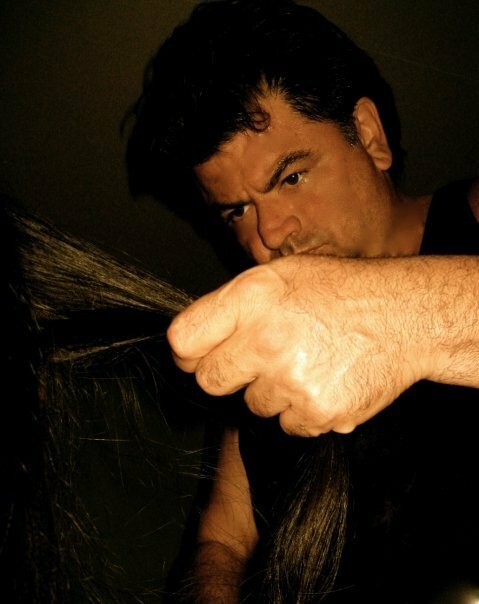 Throughout his many years as a top stylist, salon educator, & product innovator, few people have had a greater impact provoking the art & science of contemporary hair design as Randal Jon, founder of Elixhair Products. Listening to the needs & wants of his many loyal clients, along with countless hours of contemplation and product testing, has greatly added to the inspiration of bringing forth Elixhair finest quality hair products. Elixhair Products are Sulfate Free, contain many Certified Botanical ingredients, and completely CrueltyFree. As you'll clearly see, through his dedication and passion for excellence, why the answer to great looking hair is with Randal Jon . A few of the extraordinary people that have entrusted Randal Jon with their hair include Olympic Gold Medalist Nadia Comaneci, Actor James Caan, & Baseball's Hall of Famer Ernie Banks, just to mention a few of the many loyal clients that trust Randal Jon for all their styling needs. So "Book Now" You'll look and feel exceptional, after your most enjoyable visit to the Randal Jon Salon.